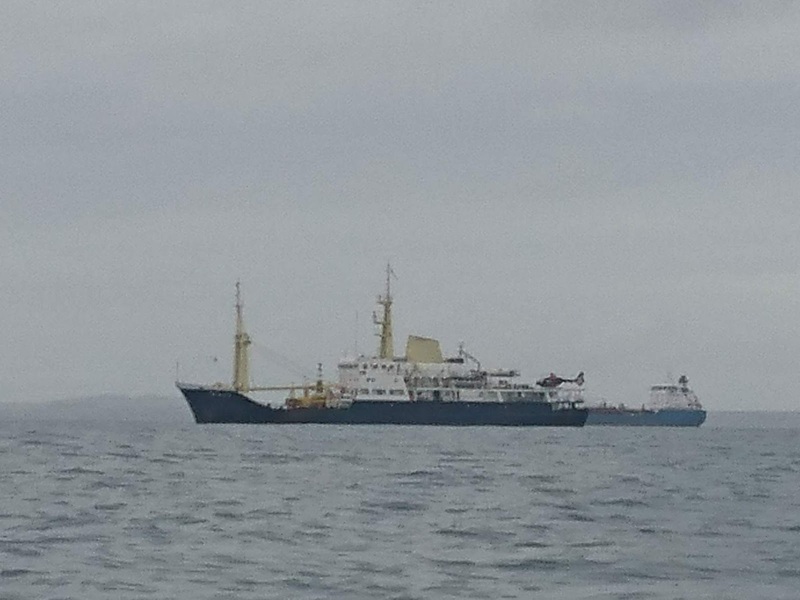 Crossings are tough, how ever long they are. Making the passage across St Brides Bay was as tough as any. 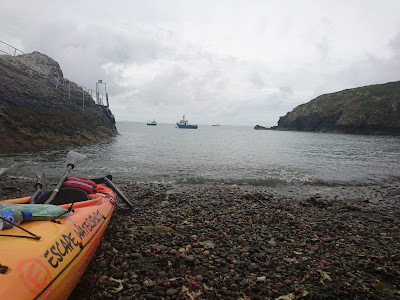 As soon as we were outside the shelter of Ynys Dewi, we could feel the tow of the flow trying to push the nose of the boat towards Skomer Island. Now we both like Skomer, it has puffins and seals and other such wonderful things but when there is the equivalent of a fast-flowing six-knot river flowing between it and the mainland, it's best to steer the little orange boat well clear. 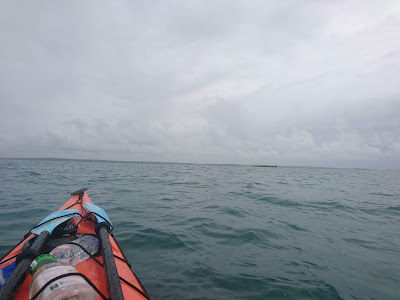 The three-hour crossing was a gritty one, and when you factor in St Brides Bay being a carpark for several-thousand-ton crude oil tankers and a swell which meant at points we couldn't see the top of their wheelhouses, it becomes very exciting. As the rain came down close to 6.30pm, we landed in Martin's Haven, glad to have made some headway on what was potentially another write-off day. 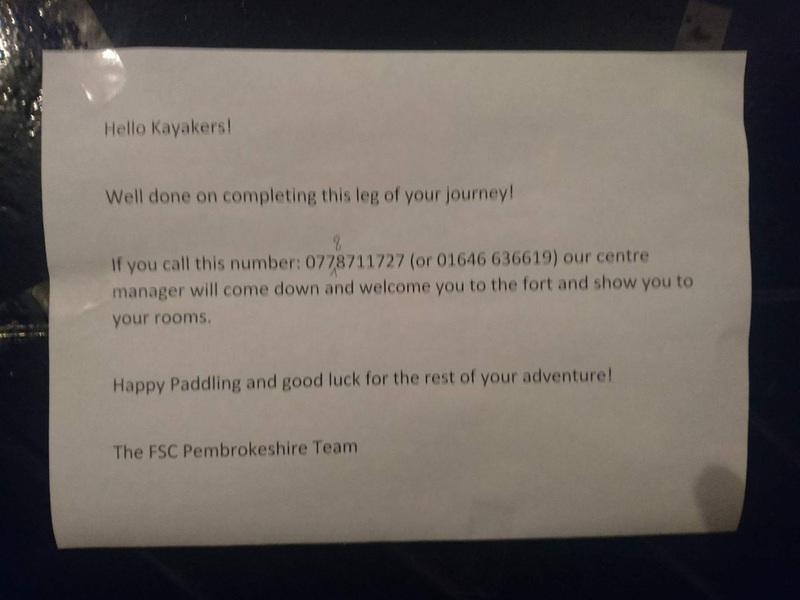 This morning we three - not forgetting Oak, our intrepid roadie - woke up in the stunning surroundings of Dale Fort thanks to the fantastic hospitality of Tom, Mel and the rest of the team at the Field Studies Council. 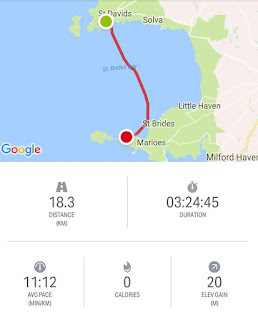 Today, with the tail end of Hurricane Hermine looming, we are hoping for a window to get from St Martin's to Dale or onwards from Dale to Tenby.